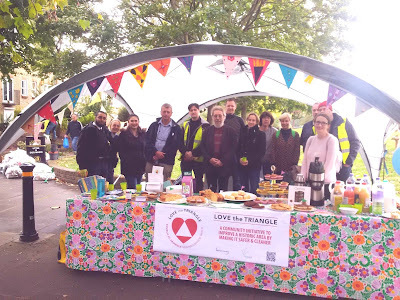 The picture is from last Saturday when local residents in Church Street, NHW - Neighbourhood watch West Ham, E15 organised a community clean up, garden planting day and cake stall. It took place next to the historic All Saints church. They got a grant from Newham Council for the event and support from the local Police Safer Neighbourhood Team and "Clean up UK" campaign Group. Councillor John Whitworth and I attended to support the event. We heard lots of good ideas about improving the local environment. It is brilliant that local residents from all backgrounds are coming together to carry out these genuine grass root community events.